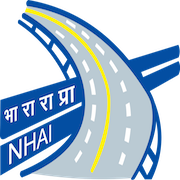 Online Application Details for National Highways Authority of India NHAI Recruitment of 1 Site Engineer is given below. Application form and duly attested documents are to be sent to The Project Director, PIU-Chhindwara, National Highways Authority of India, H.No. 84, Beside Polythene Factory, Swarna Jayanti Nagar, New Friends Colony, Khajri Road, Chhindwara-480001. In envelope super scribed with 'Application for the Post of Post Name'.